Also in this story: The Staab/Ilfeld descendant who won a landmark U.S. Supreme Court case on behalf of the Apaches. Thurgood Marshall wrote the majority opinion of the court. 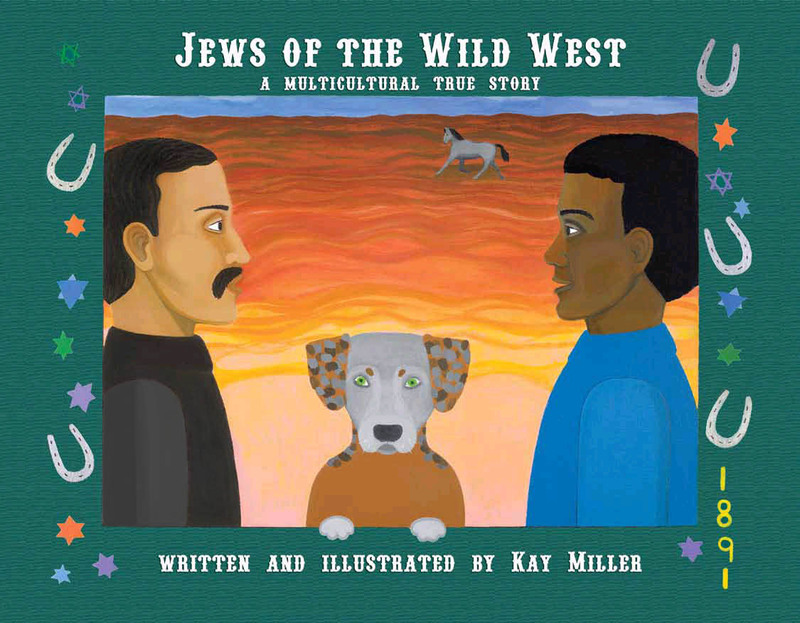 multicultural, American history, menorah, cowgirl, cowboy. 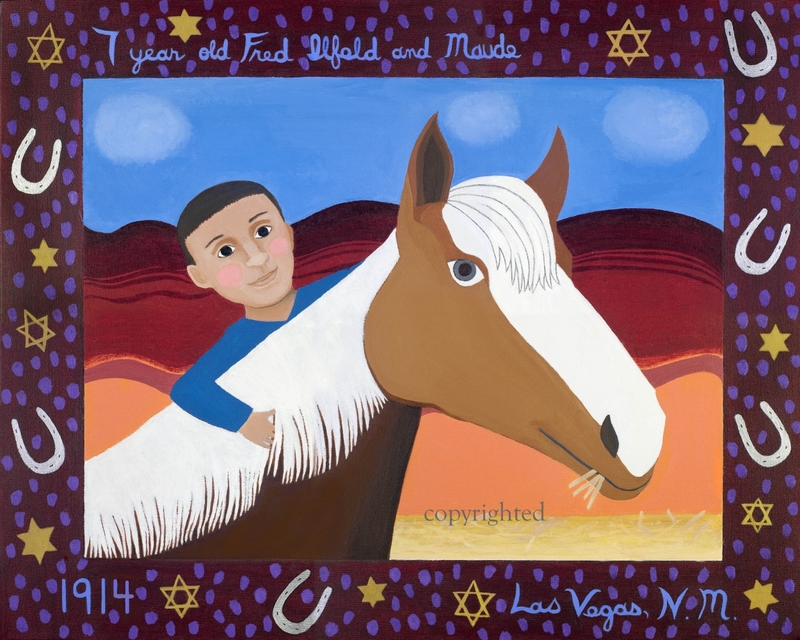 Teenage Jews, members of the Staab and Ilfeld families left Germany in the mid 1800s and settled in the Wild West. 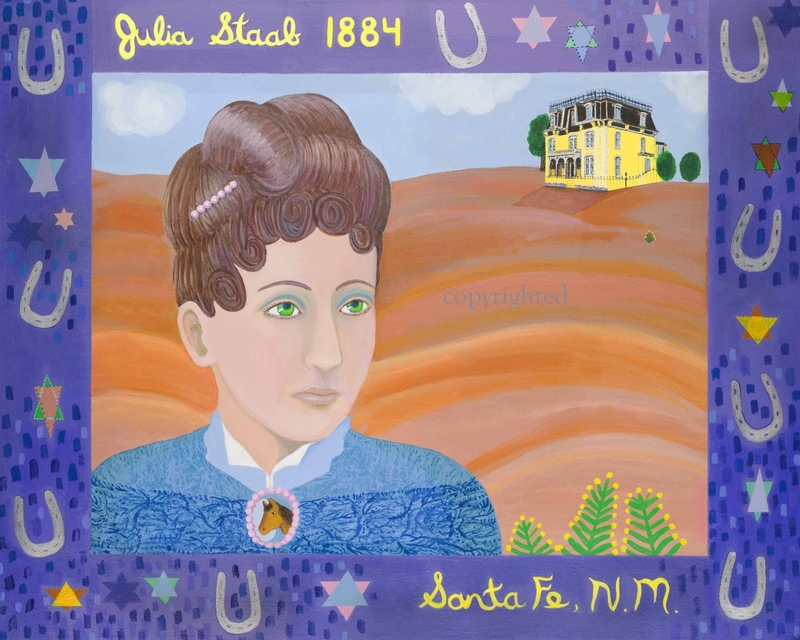 Julia Staab had a scary encounter with Billy the Kid. Hebrew was written in stone above a cathedral entrance. Ludwig Ilfeld landed a role in the movie, The Rattlesnake. There were rumors of a ghost at the Palace Avenue mansion. Hopi snake dancers, a horse named Maude, a President and a freed slave appear in this true story of family, friendship and adventure in New Mexico. Read about Staab/Ilfeld sites to visit in New Mexico!